The father of all rivers, the Abbay, is known as the Nile once it leaves its homeland. It is, in reality, one water system and not a homogeneous geographical, climatic, or ecological unit. Originating from the highlands of Ethiopia, joined by the White Nile, it reaches downstream to its hegemonic beneficiary, Egypt. The Nile has managed to capture human imagination since the earliest civilizations, but no single culture has been able to disseminate it throughout its banks, perhaps due to its geographical and mysterious diversity. Burundi, the Democratic Republic of Congo, Egypt, Eritrea, Ethiopia, Kenya, Rwanda, Sudan, Tanzania, and Uganda are the riparian states of the Nile. So far five of them, namely, Ethiopia, Kenya, Rwanda, Tanzania and Uganda, have signed the new agreement facilitated by the Nile Basin Initiative which allows them to enter into the agreement of sharing the Nile River in a fair manner, whereas the other five states have refrained from entering to an agreement leaving the “game” deadlocked on an equally shared point. Although a vast array of literary works on Nile has been produced so far, in this article I will confine myself with Egypt and Ethiopia in a limited scope. Egypt and Ethiopia are linked but also divided by the Nile, they are interdependent; while Egypt’s dependency was always for material existence [probably still now], meaning its prosperity depended on the Nile water and silt from Ethiopia, Ethiopia’s dependence was a spiritual one, that is Christian Ethiopia, by then depended on the Coptic Church of Egypt, from where the Ethiopian Abun (Patriarch) comes. This mutual dependency was, however, unstable because the Nile flow varied from year to year, for climatic reasons; hence the Abun’s arrival depended on the goodwill of Egyptian sultanates during Arab conquest in the early seventh century. However, Ethiopia’s spiritual dependence was cut in the 1950s when both President Gamal Abdel Nasser of Egypt and Emperor Haile Selassie I of Ethiopia diverted their national orientations elsewhere. 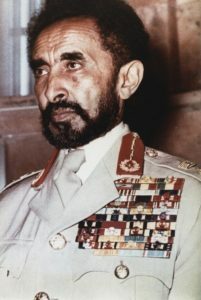 Emperor Haile Selassie first opted to turn his back on an increasingly revolutionary Middle East, finally breaking “the sixteen-centuries-old institutionalized affiliation of Ethiopian Christianity with the Egyptian Coptic Church in June 1959 and making African diplomacy his major sphere of political interest,” where he was finally able to establish the African Union Commission (formerly known as Organization of African Unity) in 1963 and was actually called the Father of Africa as he was one of the main founders of the organization. On the other hand, President Nasser broke away from the modern concept of the “Nile Valley Unity” of his predecessor, King Farouk’s project of Egyptian Nationalism (in “uniting” Sudan with Egypt for the sake of Nile), and reoriented his politics to Arab nationalism and the regional politics of the Fertile Crescent and the Arab-Israeli conflict. After half a century, the Nile once again became the reason for the division of the riparian states’ two main protagonists. Time demands new Nile politics, changing the arrangements of the half-a-century-old-politics-of the Nile in order to enable all riparian states to obtain a fair share of the Nile water. The new Nile politics means Egypt losing its hegemony on the Nile that it gained in the 1959 agreement with Sudan. 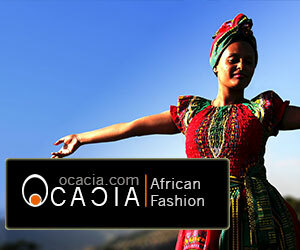 The agreement was adopted due to the tension between the president of Egypt and the Emperor of Ethiopia. 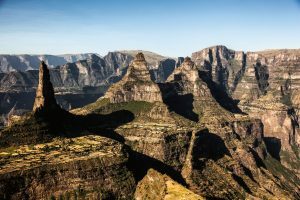 Ethiopia opted for a complete and final disconnection from the Egyptian church, ending spiritual relations of political importance that had begun in the fourth century, and thus turning to the African identity and towards continental diplomacy. Conversely, the Egyptian leadership, on its part, worked to promote mutual irrelevance and in no lesser an area of ancient connection, and assured its independence by signing an agreement with the Sudanese government, bluntly ignoring the Ethiopians, who are a major contributor to the Nile (86 per cent of the water). The agreement included several statements that obviously allowed Egypt to be the hegemonic beneficiary of the Nile water. Today’s need for change in politics is catalyzed by the changes that the riparian states are experiencing, such as the demographic, climactic, and political changes. Population growth and climate change has fostered economic development, thus necessitating and changing political scope of the Nile. Nevertheless, one should note that demanding to use the Nile, be it for agriculture or for industry, is not only urged by the need to develop one’s economy but it can also be materialized when the economic development allows the riparian states to do so. Indeed the fact that so far there has not been a genuine water conflict in the Nile basin should not be taken to imply that such a conflict would/could not arise. 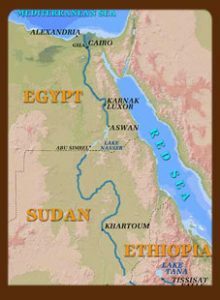 Some researchers have argued that riparian states did not enter a conflict with Egypt because they were not able to construct larger dams or have big agricultural extension programs. By contrast, the war of words between Egypt and Ethiopia was due to Ethiopia’s ability to construct larger dams on the Nile and its tributary rivers. Ethiopia’s keen interest for the new agreement is catalysed by the demographic increase and climate change that the country is experiencing. According to World Lingo statistics, in 2025, Egypt’s population will reach 97.3 million, whereas Ethiopia’s will be 126.9 million. Population below the poverty line and per capita water availability projected for 2025 for Egypt and Ethiopia is 7.6 million and 630 cubic meter and 33.8 million and 842 cubic meter respectively, thus leaving both countries in relatively critical positions. Regarding climate change, Egyptian experts and officials seem uncertain about the Nile. 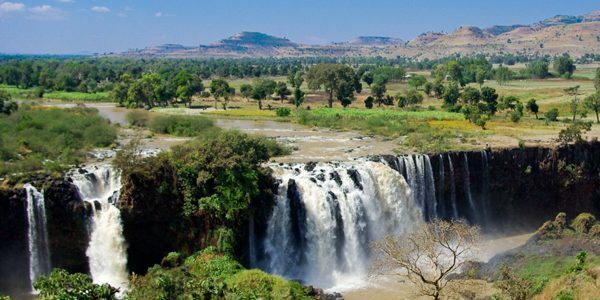 Some experts say that there will be water increase with more rainfall from the Ethiopian plateau, and some say there will be a decrease because of water evaporation. One Egyptian environmental official said to the Guardian that Egypt does not believe that climate change is real, or if it is, they are convinced that human intervention can do nothing. By contrast, the “optimistic” Ethiopian view has pushed the button for launching programs in prevention of climate change. 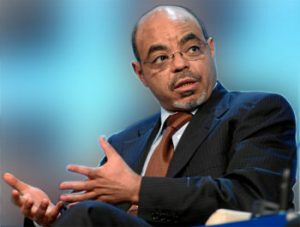 The (late) Prime Minister of Ethiopia, Meles Zenawi, who was Africa’s chief negotiator during the COP15 Copenhagen, United Nations Climate Change Conference in 2009, has asserted that the West should not only be busy in the emissions of the cause of climate change but also compensate for the damage caused from which Africa is suffering. Nevertheless, World Bank reports indicate that climate change is not an imminent danger for both Egypt and Ethiopia. 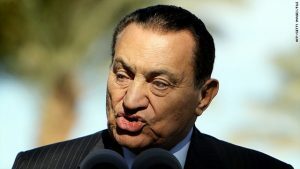 President Mubarak, during the first parliament session after the last elections, has addressed the issue of the Nile as a top priority in Egypt. It is true that Egypt’s dependency on Nile is more than Ethiopia’s (more than 90 per cent of its water source is Nile). The economy of Egypt depends on agriculture, and agriculture means water, and water means the Nile, for Egypt. Ethiopia’s dependency on the Nile is lesser compared to that of Egypt. But this should not mean the Nile is less important for Ethiopia than Egypt. For the dramatic change that Ethiopia is experiencing in demographic increase, Ethiopia is forced to use this resource in order to cope up with the changes, whether for agriculture or hydroelectric power generation. What has to be made sure is that any projects on the Nile should be done in line with international law, which in the case of the Nile is facilitated by the Nile Basin Initiative. training a rebel group in parliament. Probably he opted not to give it honor by addressing it in parliament. Yet again, the World Bank is skeptical that the two countries will engage in war as it believes the countries’ dependency on agriculture will shift to industry over time. It seems to me, however, that the World Bank has overlooked that the main reason for riparian states to seek an amendment of the agreement is in the intent to construct dams for hydropower generation, which will supply power to their citizens and for the industries and investments that are supposed to liberate them from agricultural dependency. 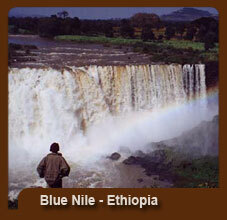 Interestingly, the Nile has managed to have two sides even in the literature around it by the two nations. 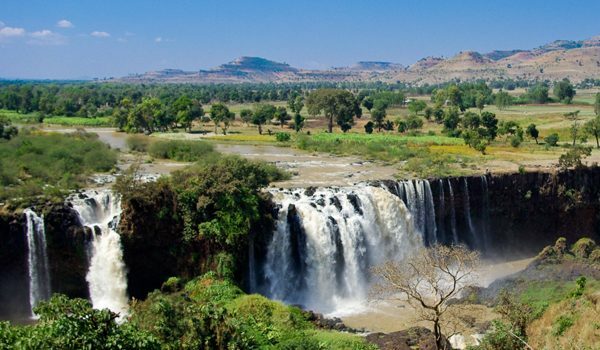 The downstream riparian state, Egypt has embraced and praised the river as it reaches its land, whereas the upper stream riparian state, Ethiopia has cursed and mourned it as it leaves, robbing the fertile soil, water, creating gorges, and dividing the nations where it was given birth. Both Egypt and Ethiopia have undergone vital changes since the 1950s: from Gamal Abdel Nasser and the Nasserite Pan-Arabism to Anwar al-Sadat to Hosni Mubarak; and from Emperor Haile Sellassie and his Pan-Africanism to Mengistu Haile Mariam and his Marxism to Meles Zenawi’s Capitalism; in the course of these changes both countries have reinterpreted their very identities. Yet again, the Nile still remains both as a bridge and a barrier between these ancient nations. ent]. As Prime Minister Zenawi stated, Egyptians have yet to make up their minds to live in the 21st century, as obviously the need to change the Nile politics has come, and that the 19th century colonial agreement and the 20th century ignorant agreement between Egypt and Sudan is useless. For those who did not sign the agreement, time has been given in order for them to think and join the signatories. However, if the Nile Basin Initiative fails in its effort of bringing in the other riparian state, the future will be uncertain. Or perhaps, thinking in the wake of Egypt’s revolution, history might repeat itself, like in the early 1950s when Gamal Abdel Nasser, President of Egypt, surprised the US and the British in his abandonment of the “Nile Valley Unity” by opting for the independence of Sudan instead of uniting that what his predecessor, King Farouk, was insisting. Who knows, maybe the current revolution in Egypt will change the half-a- century old politics of Nile by bringing a new face who will surprise Ethiopia and the rest of the riparian states by signing the agreement of the Nile Basin Initiative. Yet again, time will tell. Mahlet Ayele is a graduate student in Middle-Eastern Studies at Ben Gurion University in Israel.